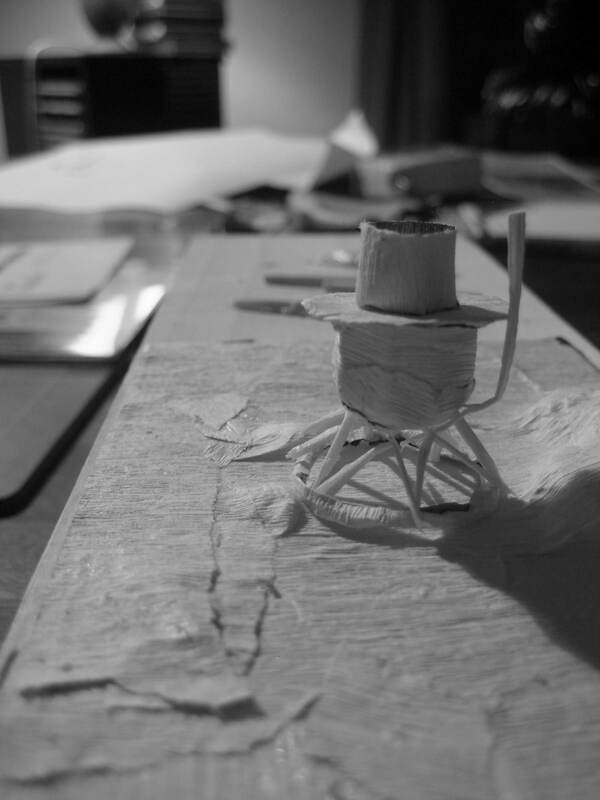 Created for Dark Sky, an exhibition marking the final Transit of Venus this century, 6 June 2012. Curated by Geoffrey Batchen with Christina Barton, Dark Sky explored the relationship between photography and astronomy. The Venera 13 works, Kamera 1 & 2 and Groza (in collaboration with audio physicist Dr Ian Whaley) draw on data from the Soviet-era programme of unmanned landings on Venus to reimagine the sounds and sights of Earth’s closest neighbor. Kamera 1 & 2 reproduces images from the 1982 Venera 13 lander, the first probe to take colour panoramas of the Venusian surface, and perhaps the first to record sound on another planet. Groza (Russian for thunder) is a 5-channel reconstruction of the sounds recorded by the Groza instrument on Venera 13. Groza is informed by the classical notion of the music of the spheres, the history of field recording, music concrete, ambient music and science fiction soundtracks. 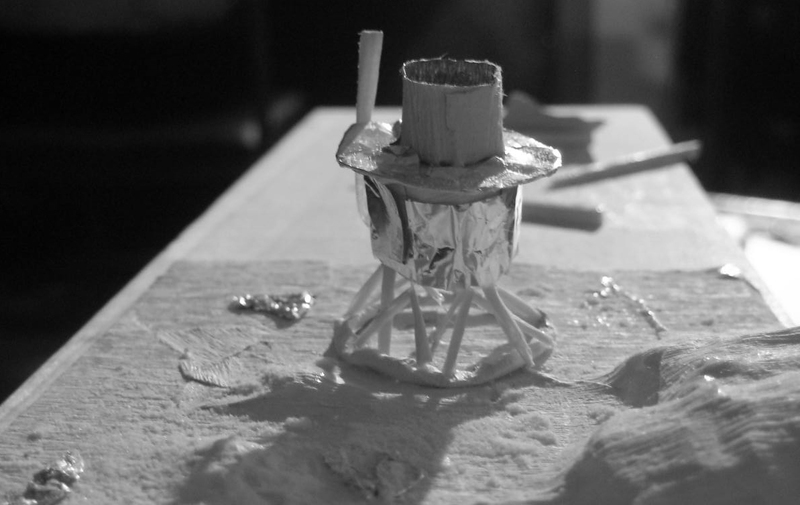 Installed in the lift of the Adam Art Gallery, the sound reverberating through the metal lift turned it into a planetary lander, sonically transporting visitors through the Venusian atmosphere. Despite technical limitations and often limited resources, the achievements of the Soviet space programme were impressive. In its early days, the Soviets cobbled together second-hand and remaindered parts, using film from captured American spy missions for its space probe cameras. The opacity of the Soviet space programme, its silence broken by the occasional propaganda film is a contrast to NASA’s appearance of transparency, of televised launches and teachers in space. Until the breakup of the Soviet Union made more information available, Western articles on Soviet researches tended to be illustrated with degraded images photocopied from old scientific journals. 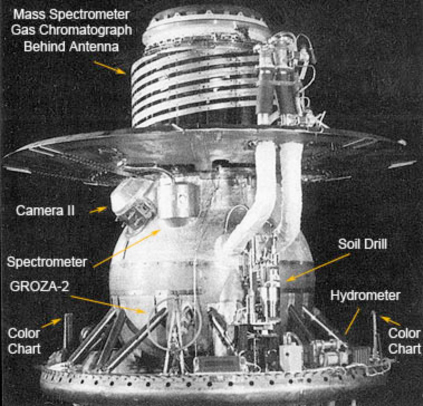 On October 18, 1967, the Soviet Venera 4 probe landed on Venus, becoming the first human object to enter the atmosphere of another planet. The exotic engineering required to operate in the hot, dense and corrosive atmosphere of Venus made minutes of survival a triumph. A series of twin probes followed this landing. 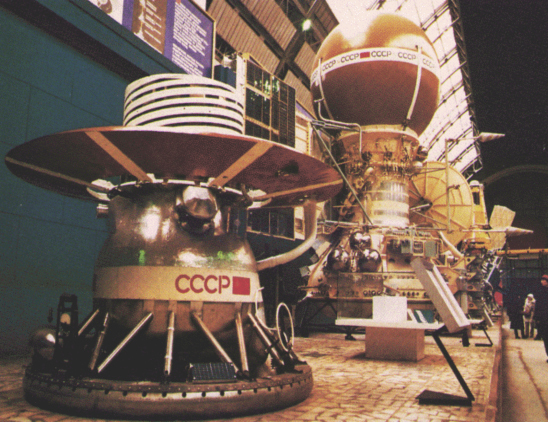 Venera 5 and 6 deployed probes bearing scientific instruments and medallions of Lenin. 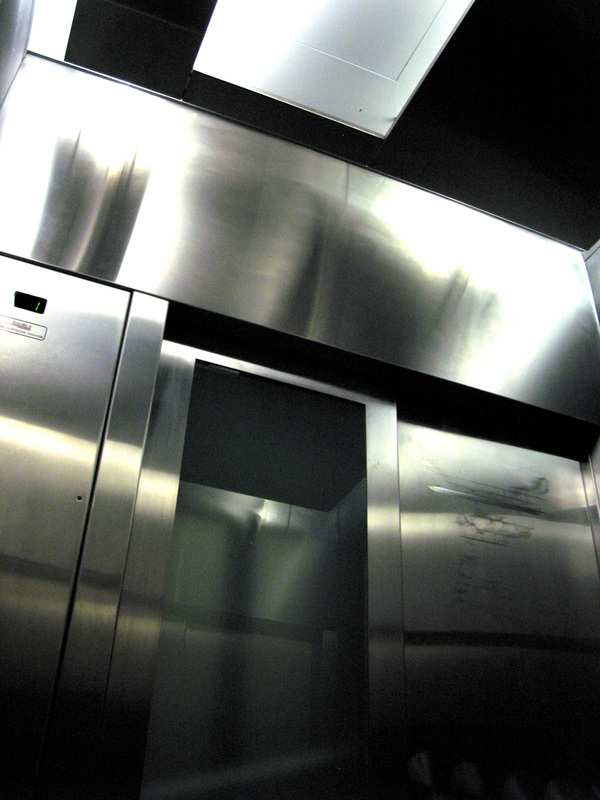 They transmitted 50 minutes of atmospheric information before succumbing to the temperature, pressure and corrosive environment. On December 15, 1970 Venera 7 was first to make a controlled landing on another planet’s surface. 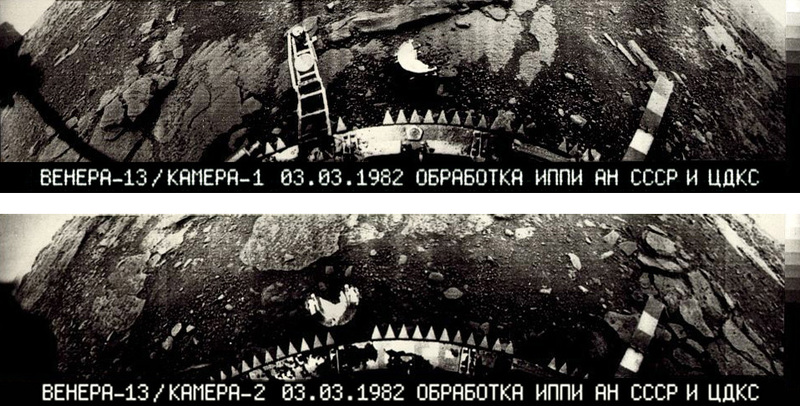 On June 8, 1975, Venera 9 returned the first images from the planet’s surface and on June 2, 1983, Venera 15 performed high-resolution radar surface mapping. The only information we located on sounds captured by the Groza experiments was a series of graphs. We could not establish if any audio exists, and our questions remain: what is audible at 100 atmospheres and 450 degrees? Whistling wind? The pulse of the probe’s electronics? Does it make sense to consider it in terms of sound? But audio, more than video, has an unbounded way of making us present in another space. Perhaps we can hear alienness more than we can see it.